Sugardrum is the musical alias of story-teller, sing-songwriter and multi-instrumentalist Nigel Bunner. 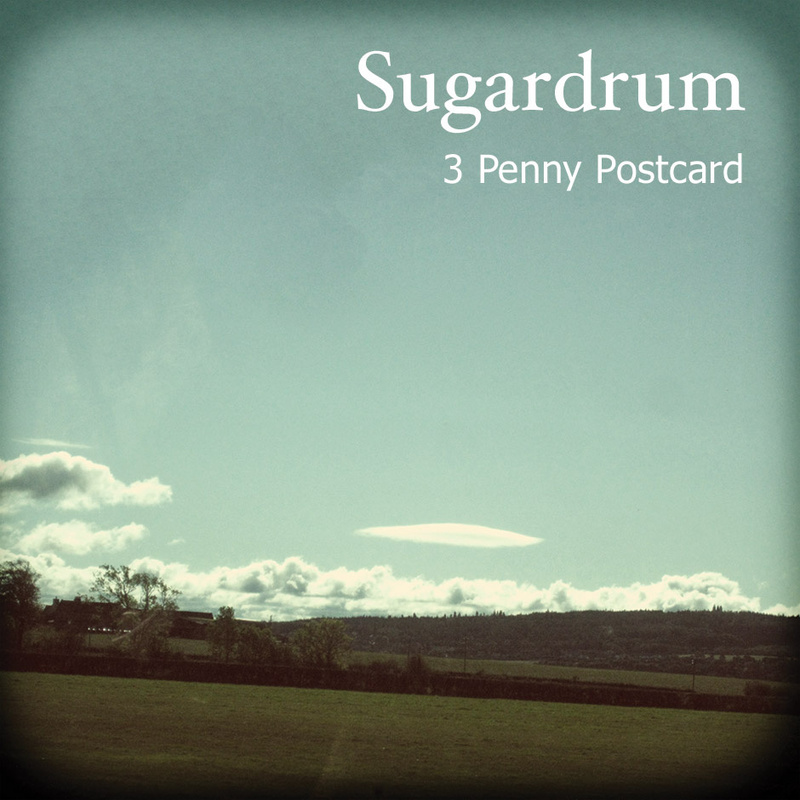 Sugardrum has released 4 Eps, including a live recording from one of his many shows and today, we’re looking at his shiny new EP 3 Penny Postcard, which was released back in November 2013 (not so new anymore). To give you an idea of this guy’s sound before we start, I’ll leave you to have a little listen and watch to his new video, made by a friendo, Choccy Roles. Now, the sounds that Sugardrum makes in Choccy roles almost confused me; I mean, for a while, the song almost sounds jazzy, with that subtle drumming and bass. Then the strings come in and it begins to sound more like a wistful singer-songwriter track. I also enjoyed the gentle glockenspiel playing during this number, it didn’t feel tarty or unnecessary, and it fit the tone just right. Postcard was a lot more typical singer-songwriter style, with the delightful fingerpicked acoustic and the melancholic vocal styling’s of Mr Bunner. The stripped back story-telling element in this song is pleasant and actively engaging with its tale of a woman hiding away her feelings until her sweet love returns. I think what this EP does strongly is put forward a very actively interesting singer-songwriter persona; things are never too similar and the sprinklings of alternative genres spices up the music. The incredibly minimal drumming in Choccy Roles and Forgotten are killer examples of using extra instruments to beef out the song, without making it seem too much or too tacky. This sort of multi-instrumentation is very reminiscent of acts like Sufjan Stevens and even to a slight degree, Beck (and his melodramatic side), and yes it would be interesting to see Sugardrum head in this direction, but I think the little subtleties that this guy has going right now are suitable for what he’s trying to accomplish. The gentle instrumentation with mellow vocals does this EP wonders at driving you to a snapshot of a nostalgic Sunday afternoon under autumn trees, just the way we like to folk.